Set in the heart of Covent Garden, London this iconic store is situated on the site of an original wheel manufacturer. Come over and have a chat. September 2013 saw the opening of the fifth Brompton Junction; situated in the heart of London, the home city of the Brompton brand, the store promises to enthuse and inspire Brompton fans both near and far. The location of the flagship Brompton Junction on Long Acre, Covent Garden, not only reflects the capital’s unique relationship with the brand but is also the site of the workshop from where Britain’s first hobby-horse bicycle was made and sold. The store covers two levels and comprises a bike and accessories show room and a workshop. 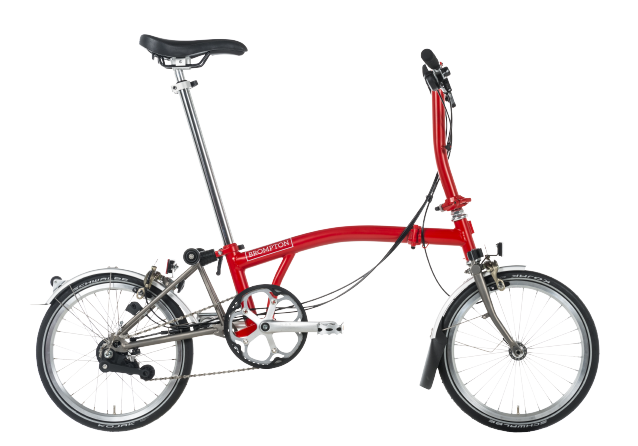 The London store is also known as Brompton Junction 18, as it is the home of the eighteenth bike from the initial production run of 400 Bromptons made in 1982. We now offer click and collect across all custom bikes available to pick up from Brompton Junction London or Brompton Junction Amsterdam. 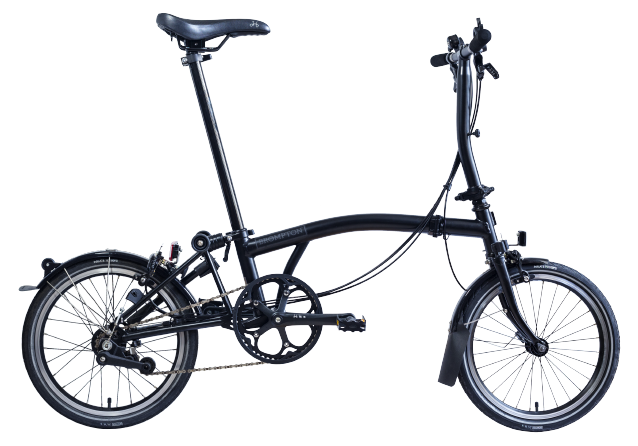 Build your custom bike today and receive your dream Brompton in 4-6 weeks. 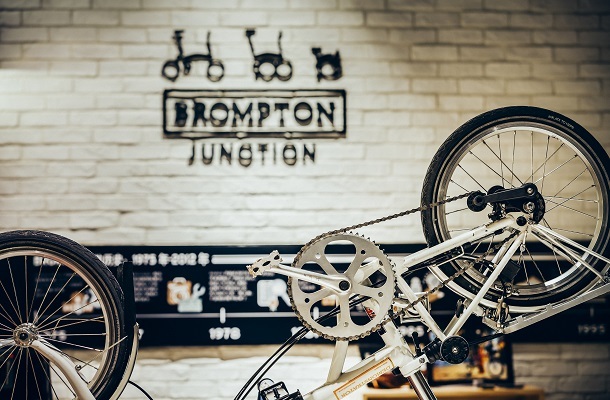 Brompton Junction stores are carefully designed retail shops, offering a personalised service, and showcasing an extensive range of Brompton bikes, which reflect the many colours and specifications available when designing your own Brompton bike. 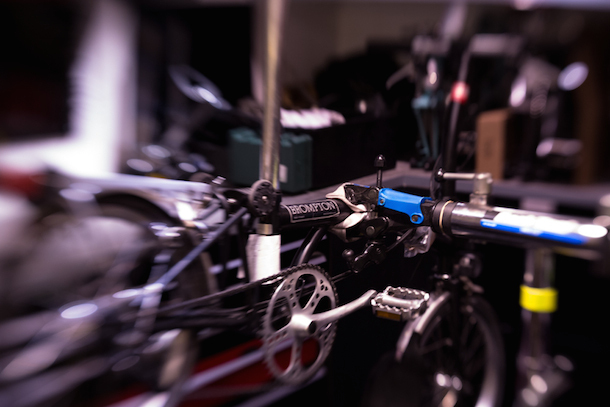 All Brompton Junctions offer specialist workshop and servicing facilities with a dedicated team of Brompton experts on hand to assist customers old and new. 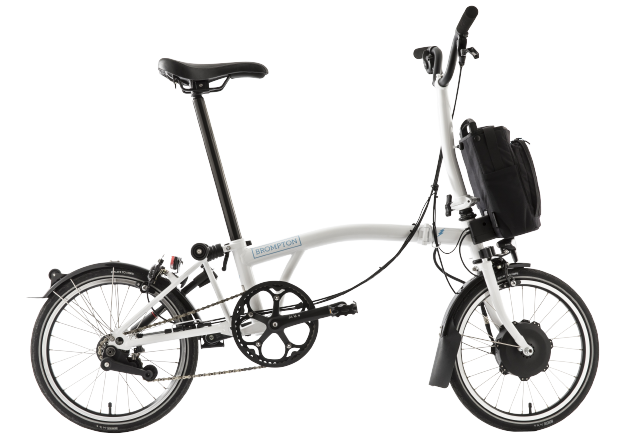 Brompton Junction stores will have a VIP program for Brompton owners and an exclusive financing scheme to help more people invest in a Brompton and discover a cheaper way to travel in cities.